Hi there! I'm an eft! Don't you just want to smile, right now? This little fellow was all of an inch long. 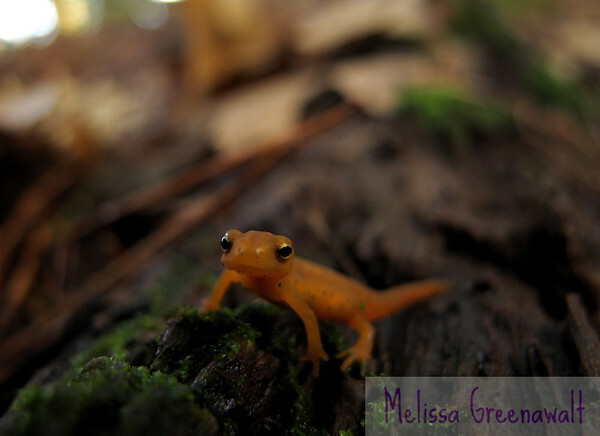 I was en route to photograph sensitive ferns illuminated by sunlight...but cute newt was so much more enticing!